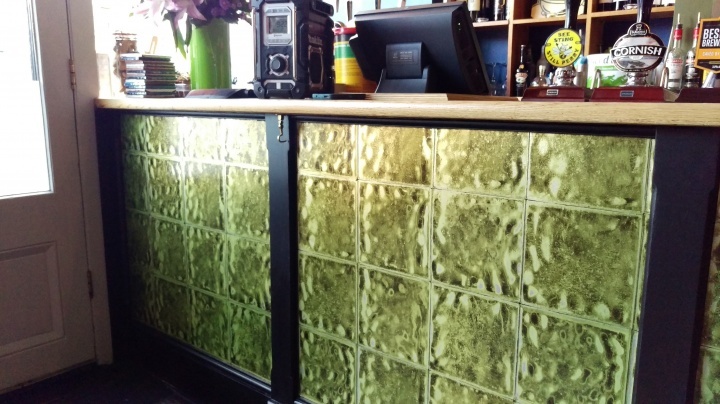 A Designers Guild wide wallpaper in the Strand bar and restaurant Cheltenham Gloucestershire. These effective panels create the look and feel of Victorian tiles. Amazing.